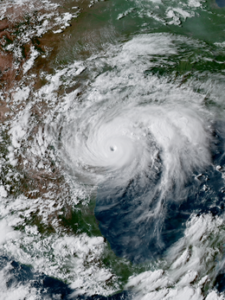 As hurricane season is now underway and an impending storm looms over us this coming weekend, it is hard not to be taken back to last August and the impact of Hurricane Harvey. Stories often serve as conveyors of our history, reminding us where we have been and possibly enlightening us on where to go from here. It was with this intent that the Houston Flood Museum, funded by the Houston Endowment, was born. When any great loss occurs, we need time and a way to process that loss. It’s difficult enough when one loses a beloved car or musical instrument, photos, books, a favorite chair – but when one loses all of it at once – one’s house and nearly everything in it – and when whole neighborhoods are inundated, the loss becomes one that all of us in the region must process, either directly or indirectly. It’s as if there is a toxic gas release or poisons in the water – the malaise affects us all, in one way or another. There is also the matter of processing the grief that follows loss. Even though this is a different sort of grief than the loss of a family member or friend, still one is haunted by what is missing, or what happened down the road (especially in the quiet hours of the night, when one has time to reflect). Writing through the grief – acknowledging somehow what happened and what it means to us – is one way to metabolize and learn to live with loss. It’s also cathartic in such circumstances to know those things for which one is grateful, and to whom one is grateful, and to pay tribute to them. This is the final entry in a series of micro essays on Hurricane Harvey by participants in Inprint’s nonfiction workshop led by poet Cait Weiss Orcutt. She says, “Each piece serves as a proof of our city’s resilience—you can give us rain, wind, uncertainty and days of isolation, but as soon as we can find a pen, we will turn that into art.” For her full introduction and the first essay in this series, click this link. When you weather a storm as a couple you cannot freak out about the same things. There must be a yin and yang to the crisis. A delicate balancing act where one spouse stays calm and convinces the other one to relax without uttering the word, relax, because that will immediately escalate the situation into a full-blown, code red, Cat 5 catastrophe. On Monday, September 11, An Open Book posted the first in a series of micro essays by participants in Inprint’s nonfiction workshop led by poet Cait Weiss Orcutt. She says, “Each piece serves as a proof of our city’s resilience—you can give us rain, wind, uncertainty and days of isolation, but as soon as we can find a pen, we will turn that into art.” For her full introduction and the first essay in this series, click this link. On Monday, September 11, An Open Book posted the first in a series of micro essays by participants in Inprint’s nonfiction workshop led by poet Cait Weiss. She says, “Each piece serves as a proof of our city’s resilience—you can give us rain, wind, uncertainty and days of isolation, but as soon as we can find a pen, we will turn that into art.” For her full introduction and the first essay in this series, click this link. As the wind and rains on the dirty side of Hurricane Harvey increased, I sat on the wet tiles of the front porch of our sturdy house on the south shores of Lake Livingston in San Jacinto County. All of the outdoor furniture had been moved to the safety of the basement or garage. I watched the strong waves break over the dock and over the ten-foot concrete apron across an expanse of lawn moving nearer and nearer to the porch stairs. I knew the power of these waves, punching with eight pounds of force for every cubic foot of churning water overflowing its banks and its iron bulkheads in this ninety thousand acres lake. I had seen the result of Hurricane Ike tearing the roof off our next-door neighbor’s house and destroying our dock. I was powerless against the whims of Hurricane Harvey. All I could do was watch and wait. Cait Weiss Orcutt teaches Inprint’s Personal Essay Workshop which started on the afternoon of Wednesday, September 6. Her work has been published or is forthcoming in Boston Review, Chautauqua, FIELD, Tupelo Quarterly & more. She is founder of the Writers Guild Community Creative Writing Workshops in Columbus, Ohio, Editorial Advisory Board Member of Mad River’s Slash Prize, and Online Editor of The Journal. A recipient of an Inprint C. Glenn Cambor/MD Anderson Foundation Fellowship, she is a graduate student at the University of Houston Creative Writing Program. Here Cait talks about the first workshop gathering. Cait Weiss Orcutt: This past week, our Personal Essay workshop met for the first time. I had come to class planning to talk craft—what is Creative Non Fiction, for instance, and what (or who) makes “fact” fact? Instead, it quickly became apparent that, while the sky outside was clear and blue, the class was still caught in the storm.